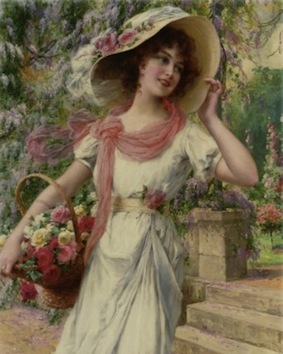 that agree with the Manifesto, the System of dance and the Educational Material. 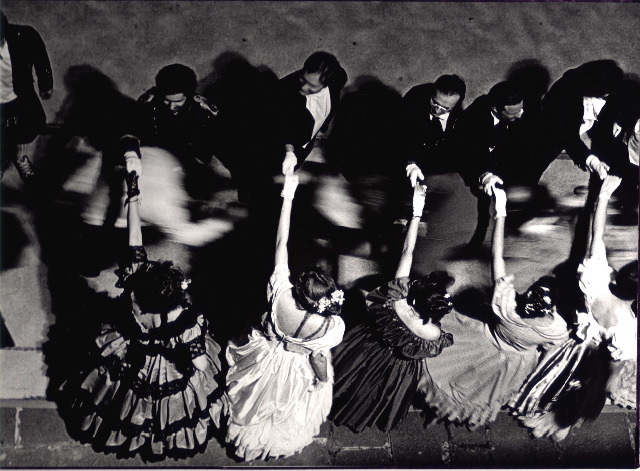 The society aims at reconstructing a dance system belonging to the European tradition. 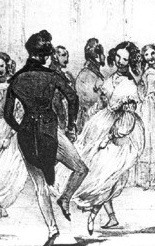 The XIX Century dances are: quadrilles, country dances, waltzes, polkas and mazurkas, and Scottish dances. 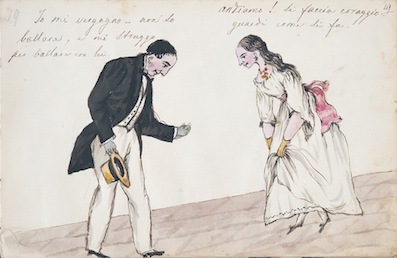 We aim at researching the artistic technique that in the Nineteenth Century made these dances especially important for the dancing masters and not only mass enjoyment. 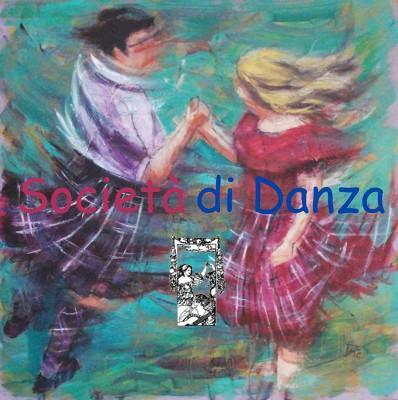 Circolo Pisano della Società di Danza since 1997 is affiliated to Royal Scottish Country Dance Society and promotes Scottish country dance in the dance system. 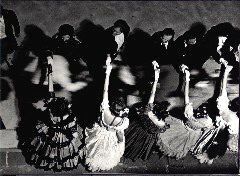 Dances are are rebuilt on the basis of the study of the 19th Century dance manuals of the best European dancing masters. 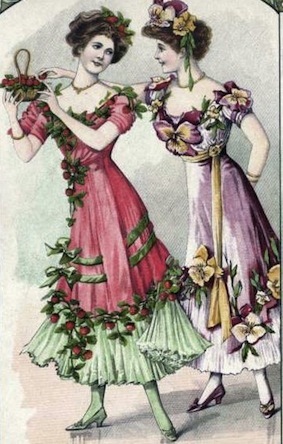 Dress code for the dancers: 19th century ball dress, romantic period. 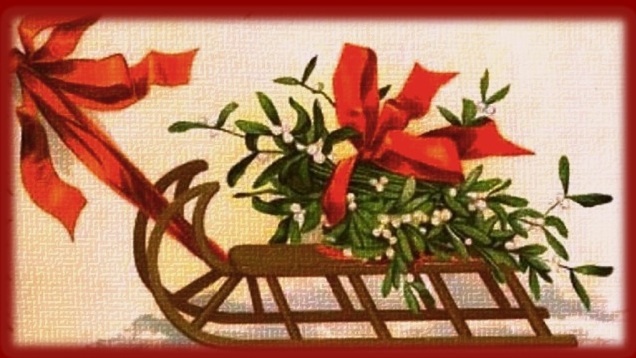 Quadrille, controdance, Waltz, Mazurka, French Polka, March, Galop. 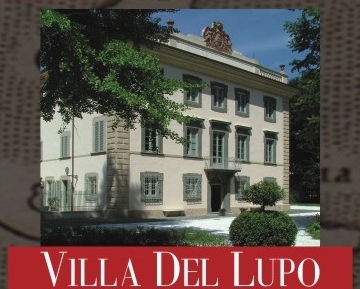 Information on Villa di Corliano. 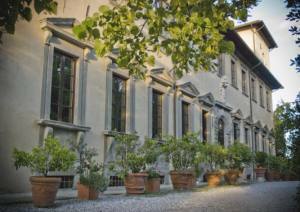 the exterior is decorated with graffiti dating back 1500 and which are typical of Florentine Mannerist Art. Inside the salons of the Villa frescoes by Andrea Boscolo (1592) and Nicola Matraini (1750) can be admired. 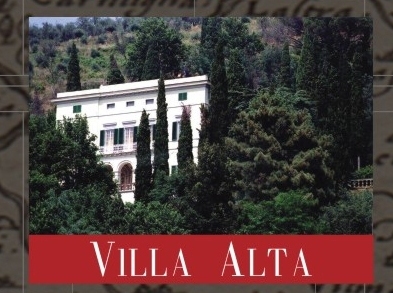 Villa di Corliano belongs to Agostini Venerosi della Seta family since 1536. (designed by Ignazio Pellegrini in 1755), an oil Mill, a Kaffeehaus. 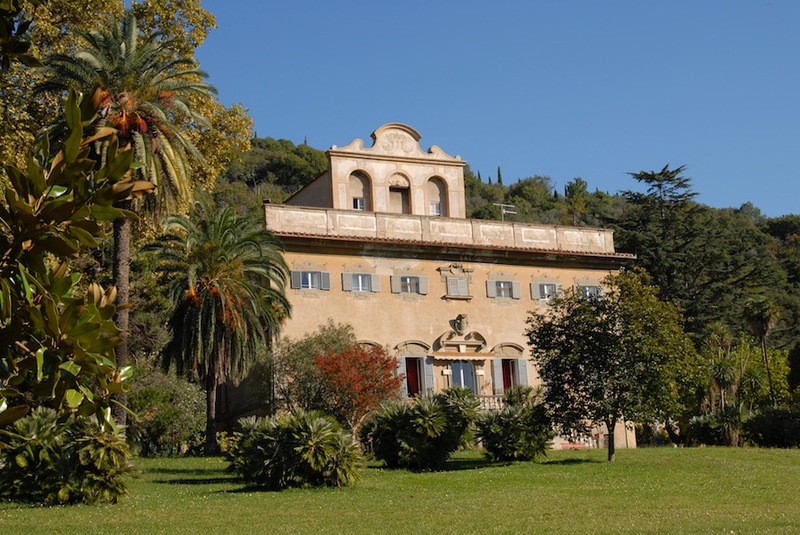 The Villa has a huge charming Park of about three hectares with some secular plants and which is enclosed within the Villa's walls. 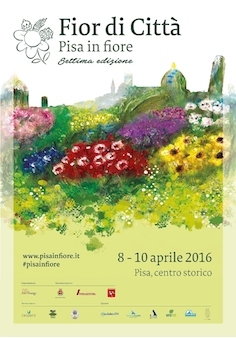 - is hosted by the Rete Civica di Pisa, Comune of Pisa. 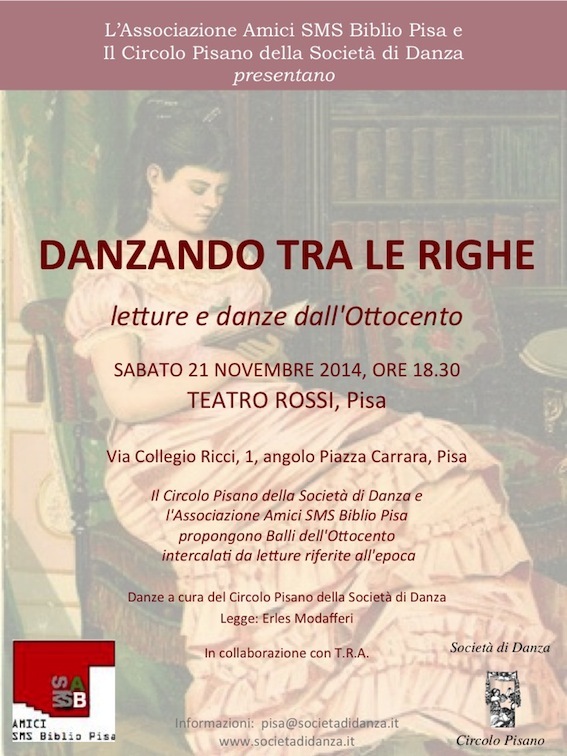 Further information on the Circolo Pisano and the Società di Danza. 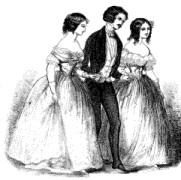 Cycles of classes of 19th century social dance and Scottish country dances. 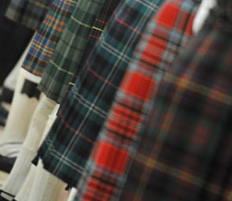 What: We study 19th century dance of European tradition that include: quadrille, country dance, figured waltz, mazurka, polka, galop, schottische, and Scottish country dance. 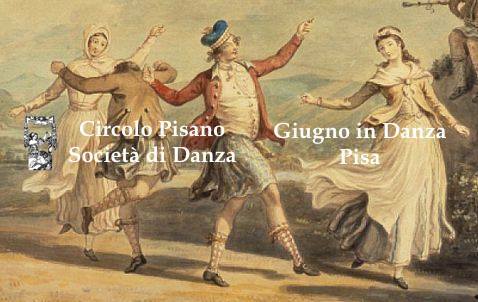 Dances are studied according to the research and reconstruction work of the Società di Danza, whom the Circolo Pisano belongs to. 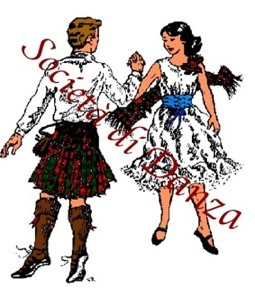 Scottish country dances are studied according to the Scottish tradition and the research work of the Royal Scottish Country Dance Society, whom the Circolo Pisano is affiliated to since 1997.
Who: Courses are for adults and young people. 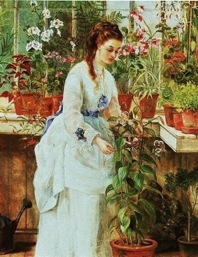 It is not necessary to have special knowledge of dance. How: Courses are organized in three levels. The first for beginners and dancers with beginner knowledge, the second one for dancers that have already attended at least one year of the course, and that have a good technical knowledge and experience of basic figures and steps, and the third one for more expert dancers that have a definite technical knowledge and experience of all the basic figures and steps of intermediate level. and more on demand and surprise! Invitation to the dance: Dance with us! 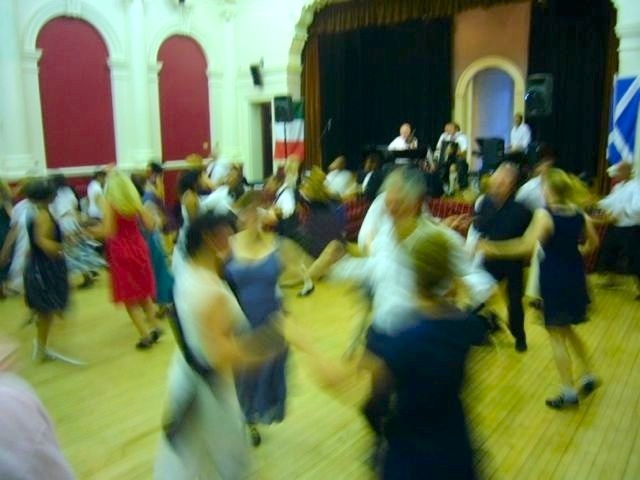 - Grand balls and tea dances in Pisa, in Tuscany, in Italy and in Europe. 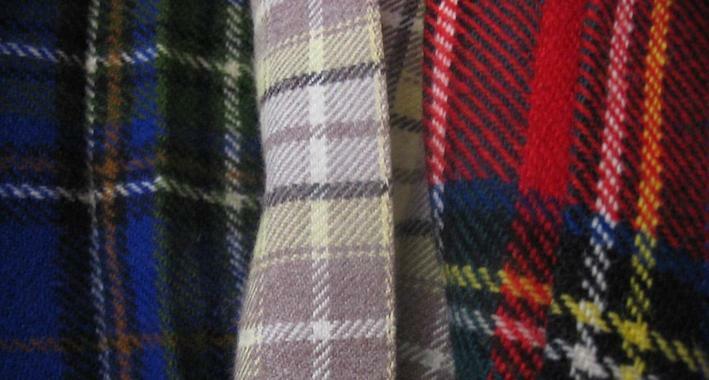 - Scottish Parties and balls. - Summer School, July-August 2019. 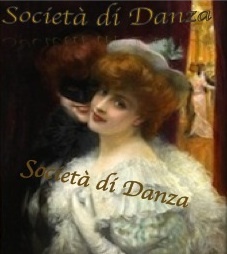 - Special seminars of historical dance. 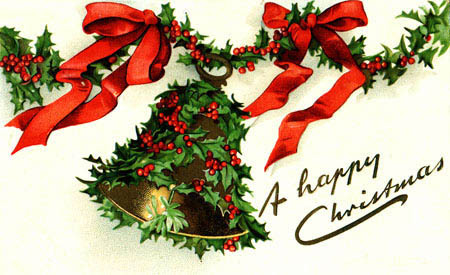 - Many other events and activities. 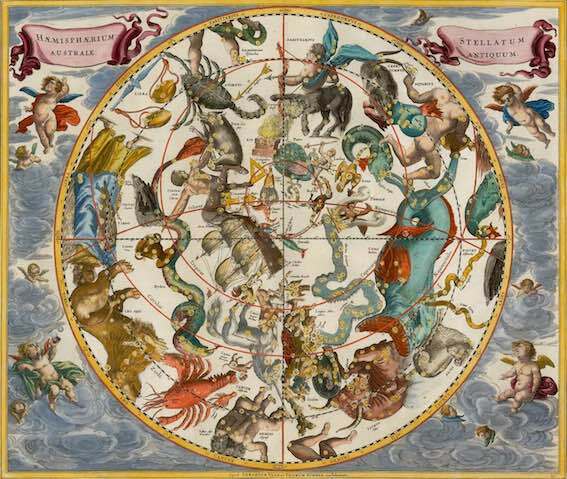 at the Scuola Proscaenium, V. Fiorentina 216/a, teacher S. Balsamo for three levels (beginners, intermediate and advanced) and M. L. Fava (Leopolda, for beginners). Two cycles of classes of four months. 1st course: 1.10.2017-31.1.2018, 2nd course: 1.2-8.6.2018. 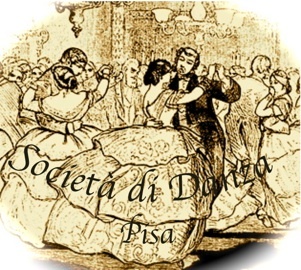 The Circolo Pisano realized events, reconstruction of 19th century balls, stages and seminars, specific semiars of renaissance dance and eary 19th century dance, grand balls and tea dances. 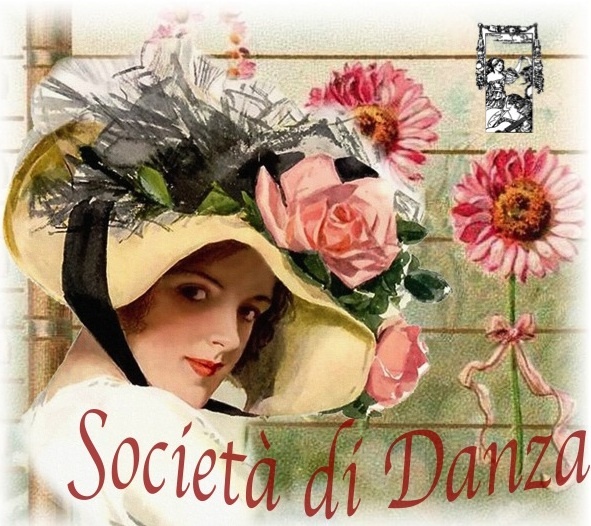 joined the national project of the Società di Danza that has been realized with many events of grand ball reconstruction all over Italy and Europe. 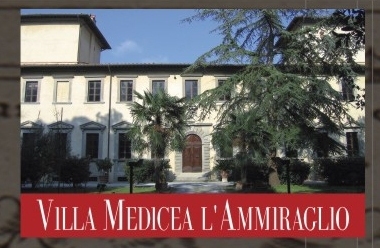 23-th Summer School of Società di Danza, Villa Massimo, Landro di Gioiosa Marea, July-August 2017. 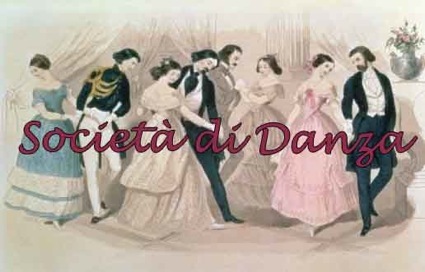 Circolo Pisano della Società di Danza presents some 'Scenes of a 19th Cnetury ball'. Dancers in period ball dress recreate the dance atmosphere of society like in a 19th Century ball. 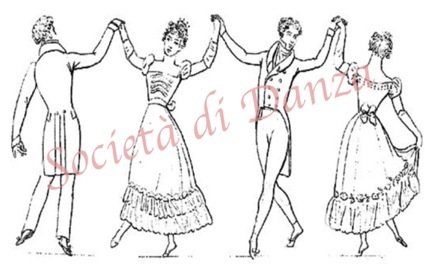 "A dance with Jane Austen"
Special dancing evening in red! Three cycles of classes of ten weeks. 1st course: 1.10 - 13.12.2016, 2nd course: 16.12.2016 -1 7.3.2017 and 3rd course: 18.3 - 30.5.2017. 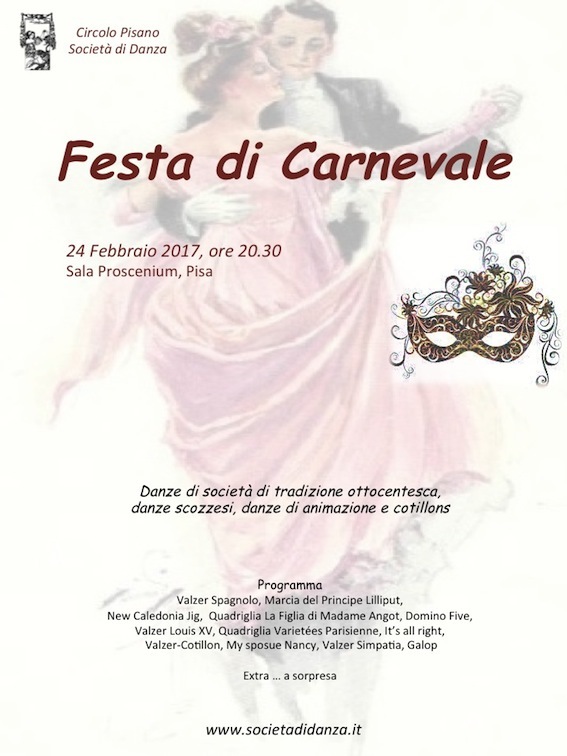 New Year Grand Ball, (National Grand Ball of Società di Danza), Salone del Podestà Palazzo Re Enzo, Bologna, 1.1.2017. 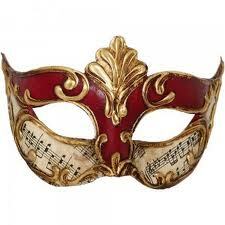 Grand Bal Masquè, Museo Archeologico Nazionale, Palazzo Costabili, Ferrara, 4.3.2017..
Gran Ballo delle Cinque Giornate a Milano, Museo Nazionale della Scienza e Tecnologia, 19.3.2017. Grand Ball Risorgimentale, Torino, Circolo Ufficiali, 23.4.2017. Grand Ball Risorgimentale, Livorno, Terrazza Mascagni, 13.5.2017. Grand Ball Risorgimentale, Modena, Military Academy, Palazzo Ducale, 28.5.2017. Grand Ball Risorgimentale, Roma, Villa Torlonia, 21.5.2017. Grand Ball Risorgimentale, Firenze, Villa Viviani, 2.6.2017. Grand Ball, Lucca, Villa Bottini, 17.6.2017. Grand Ball Mitteleuropeo, Trieste, Villa Piazza Unità d'Italia, 10.6.2017. 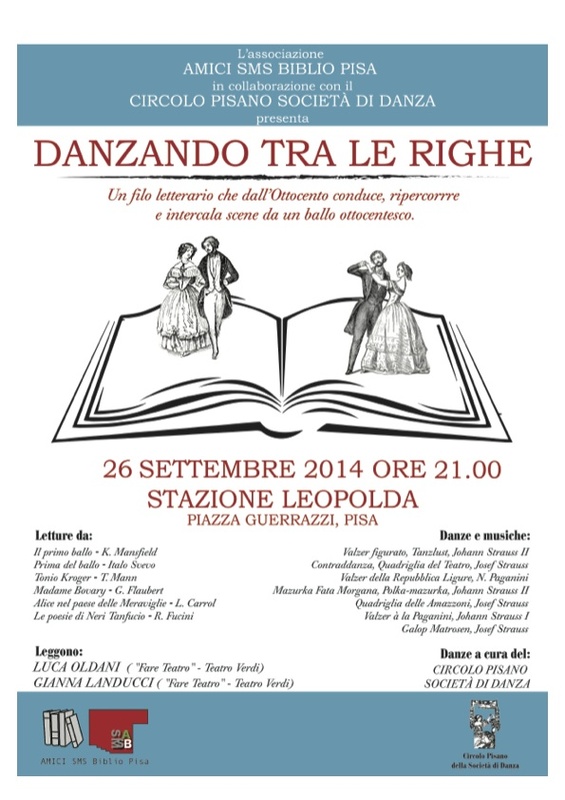 Gran Ballo Ottocentesco , Bologna, Via Rizzoli, 24.9.2016. 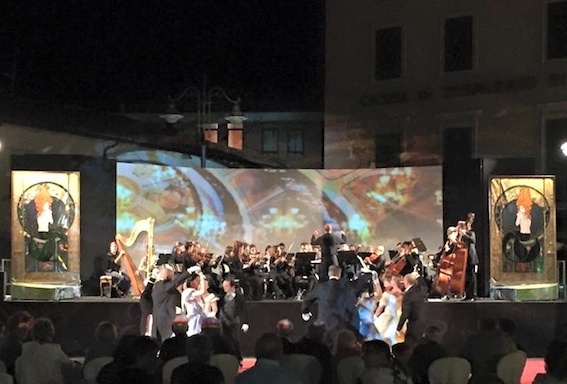 Gran Ballo Risorgimentale, Siracusa, Ortigia, Piazza del Duomo, 22.7.2016. 27-th Società di Danza Easter School, Tabiano (Pr), 14-17/4/2017. 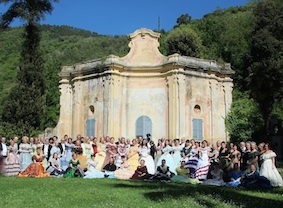 22-th Società di Danza Summer School, Villa Massimo, Landro di Gioiosa Marea, July-August 2017. 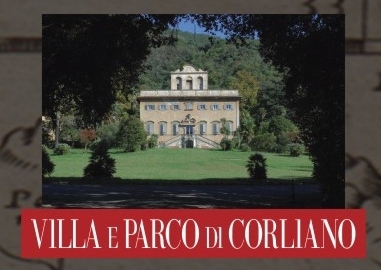 Villa of Corliano is recognized as one of the most prestigious Renaissance villas in Tuscany. 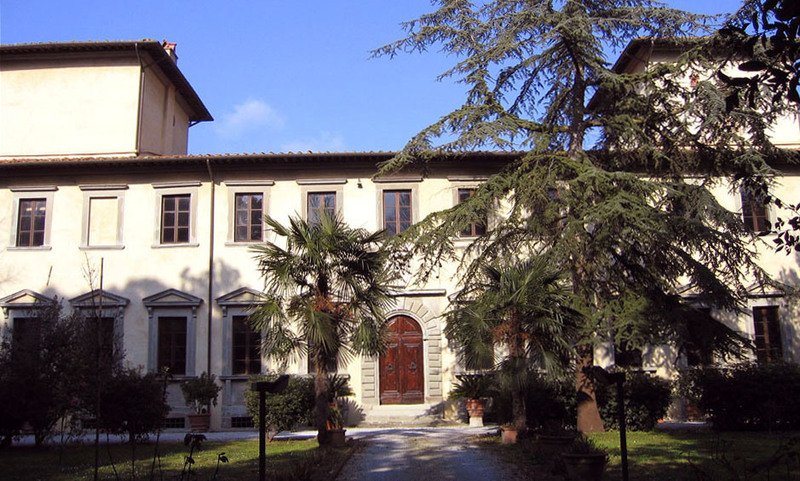 Villa di Corliano is of the 15th Century, the exterior is decorated with graffiti dating back 1500 and which are typical of Florentine Mannerist Art. Inside the salons of the Villa frescoes by Andrea Boscolo (1592) and Nicola Matraini (1750) can be admired. 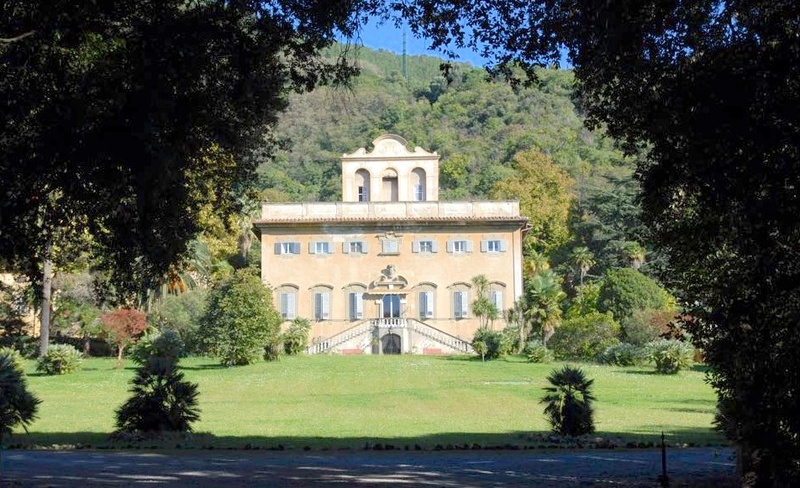 Villa Agostini is part of a larger monumental complex composed of a Chapel, a Farmhouse (designed by Ignazio Pellegrini in 1755), an oil Mill, a Kaffeehaus. 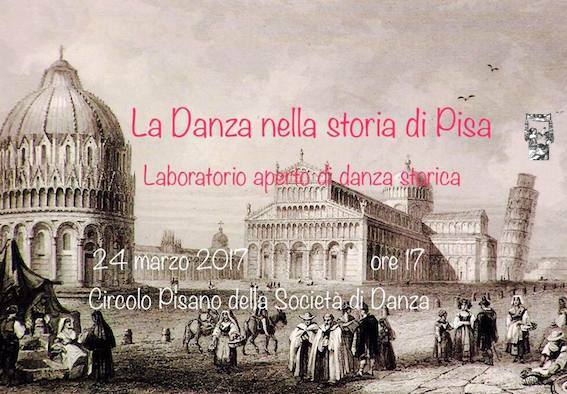 A short trip in the history of Pisa through the historical dance. An invitation to try historical social dance in a practical open workshop. Three cycles of classes of ten weeks. 1st course: 1.10 - 13.12.2015, 2nd course: 18.12.2015 -1 6.3.2016 and 3rd course: 18.3 - 30.5.2016. 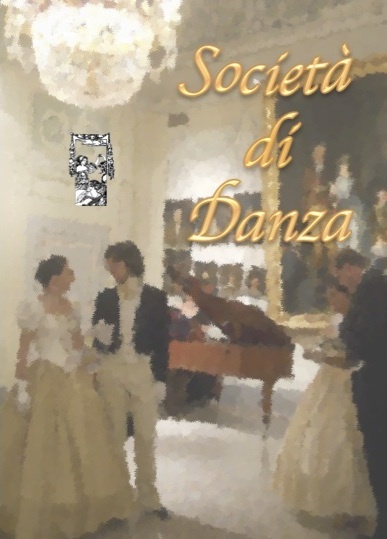 New Year Grand Ball, (National Grand Ball of Società di Danza), Salone del Podestà Palazzo Re Enzo, Bologna, 1.1.2016. Christmas Grand Ball, Real Collegio, Lucca, 19.12.2015. 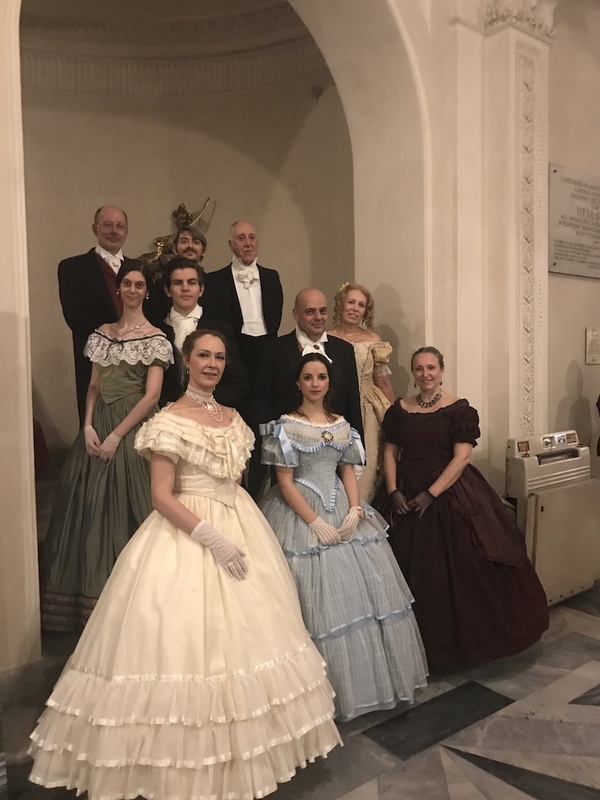 Grand Ball Risorgimentale, (National Grand Ball of Società di Danza) for 150th Firenze Capitale, Villa di Poggio Imperiale, 1.11.2015. 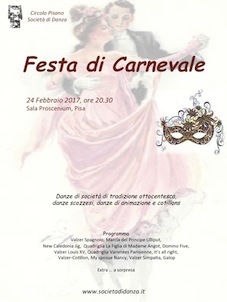 Grand Bal Masquè, Museo Archeologico Nazionale, Palazzo Costabili, Ferrara, febbraio 2016. 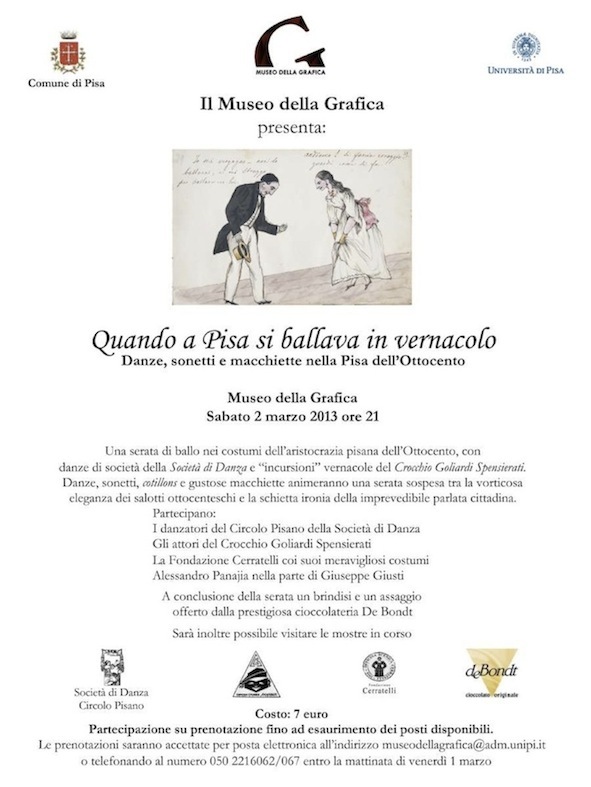 Gran Ballo delle Cinque Giornate a Milano, Museo Nazionale della Scienza e Tecnologia, 3.4.2016. Imperial Grand Ball, Saint Petersburg, Imperial Hall Taleon, 23.4.2016. Grand Ball Risorgimentale, Torino, Piazza Carlo Alberto, 8.5.2016. Grand Ball Risorgimentale, Livorno, Terrazza Mascagni, 15.5.2016. Grand Ball Risorgimentale, Modena, Military Academy, Palazzo Ducale, 14.5.2016. 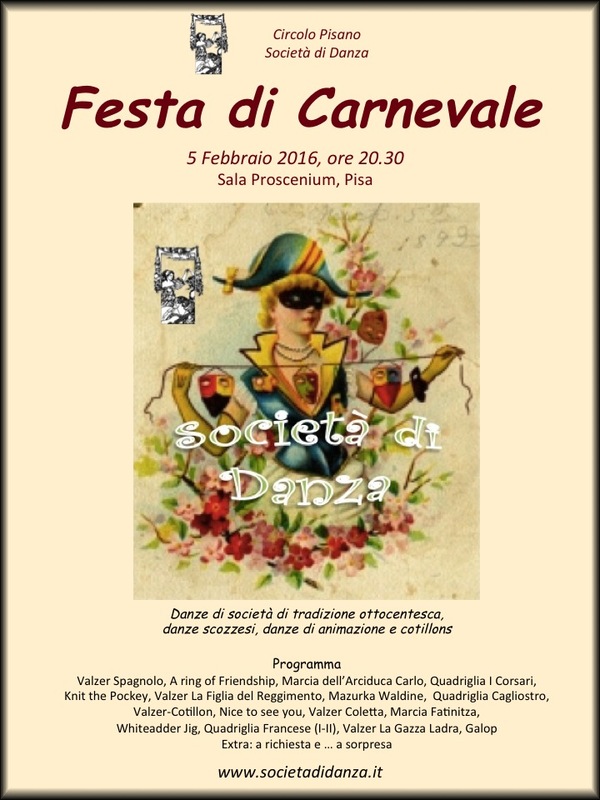 Roses' Grand Ball, Bologna, Circolo Ufficiali, 28.52016. Grand Ball, Mantova, Grazie di Curtatone, 11.6.2016. 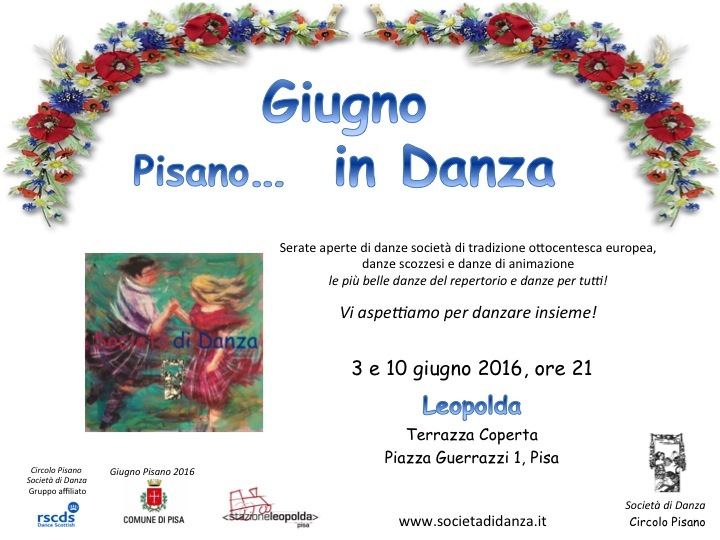 24-th Società di Danza Easter School, Tabiano (Pr), 25-28/3/2016. 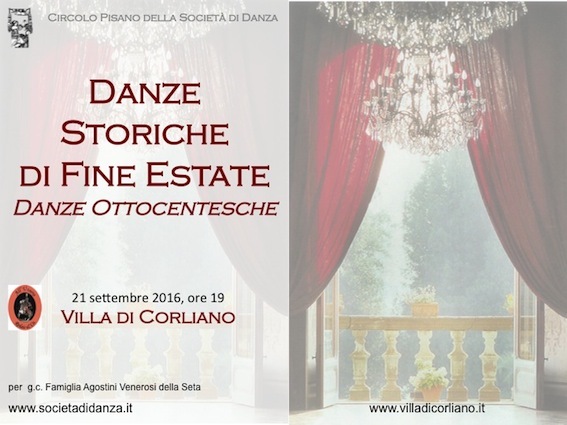 21-th Società di Danza Summer School, Villa Massimo, Landro di Gioiosa Marea, July-August 2016. 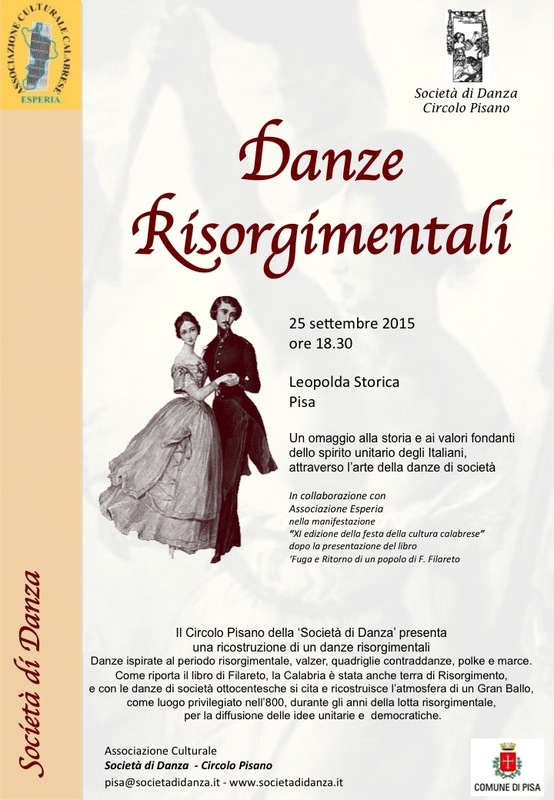 Waltz, quadrille, country dance, polka and marsch. 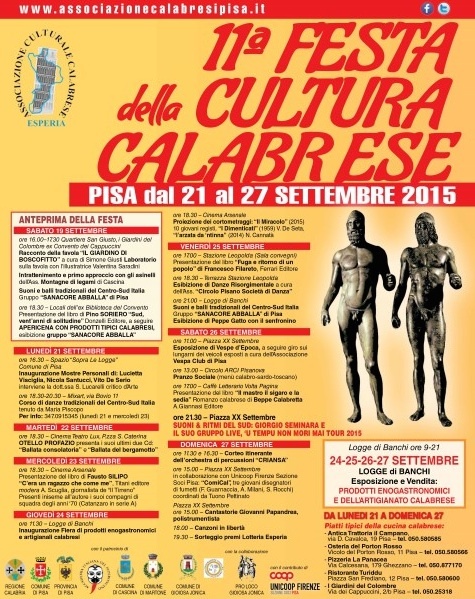 As metionend by the Filareto's book, the Calabria was also a land of Risorgimento. 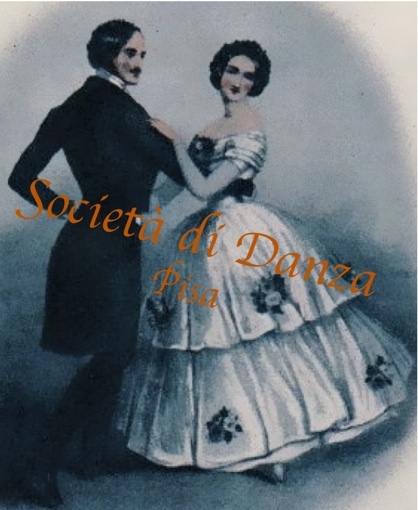 19th century social dances bring the atmosphere of a Grand Ball,a special place, during the Risorgimento period, for the diffusion of the democratic and unitary ideas. 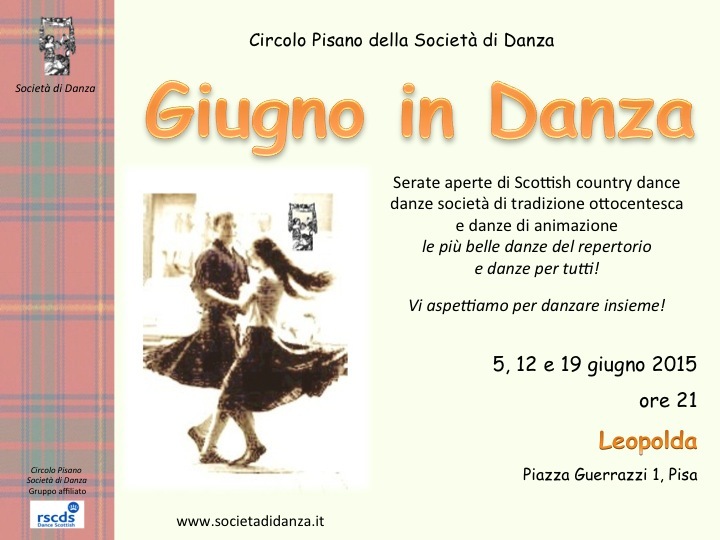 Società di Danza presents some traditional Scottish Dances and they invites the public to try some simple Scottish country dances. and M. L. Fava (Leopolda, for beginners). Three cycles of classes of ten weeks. 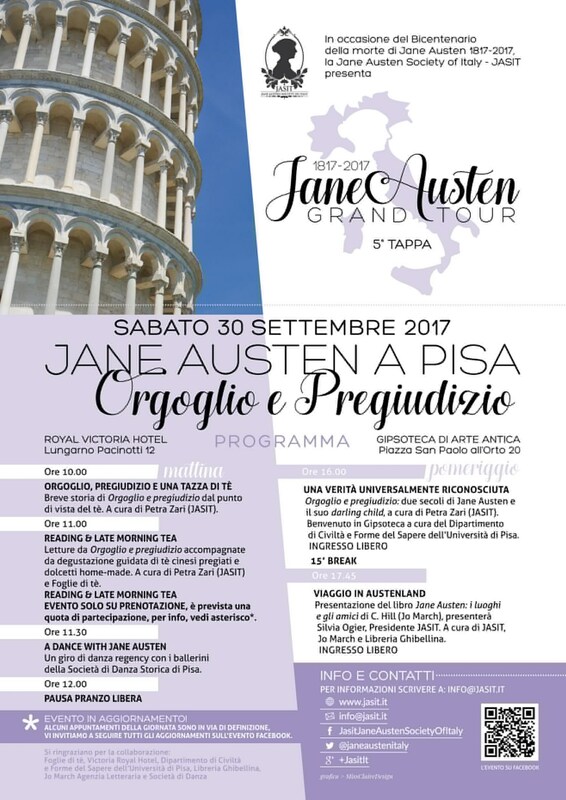 1st course: 1.10 - 20.12.2014, 2nd course: 7.1 - 14.3.2015 and 3rd course: 18.3 - 31.5.2015.
many events of grand ball reconstruction all over Italy and Europe. Grand Ball, Villa di Poggio Imperiale, November 2014. Christmas Grand Ball, Villa Buonvisi al Giardino, Lucca, December 2014. 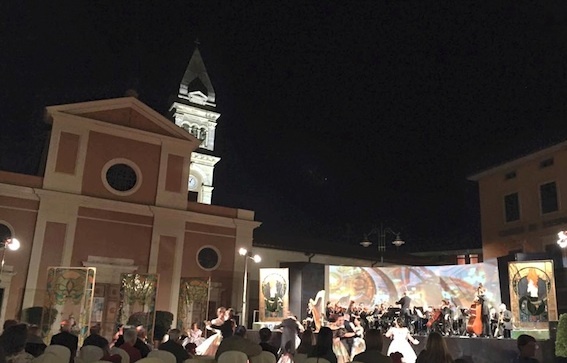 Verdi's Grand Ball, Villa Pallavicino, Museo Nazionale G. Verdi, Busseto (Pr), januray 2015. 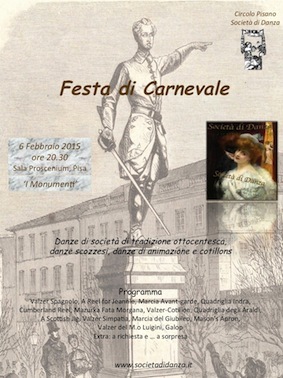 Grand Bal Masquè, Palazzo Brancaccio, Roma, febbraio 2015. Gran Ballo delle Cinque Giornate a Milano, Palazzo Cusani, Circolo Ufficiali, March 2015. Grand Ball at Villa Viviani, Firenze, April 2015. Grand Ball Prague, Theatrino, May 2015. Grand Ball Risorgimentale, Livorno, Terrazza Mascagni, May 2015. Grand Ball Risorgimentale, Torino, Mausoleo della Bella Rosin, May 2015. 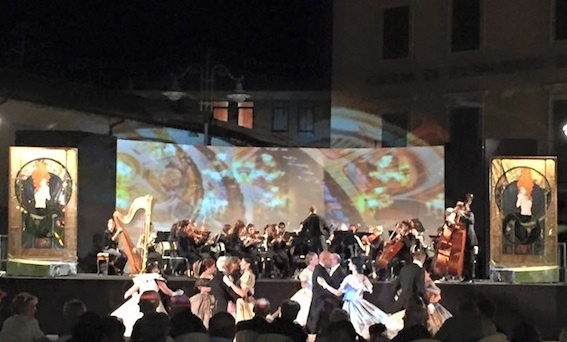 Grand Ball, Mantova, Grazie di Curtatone, June 2015. 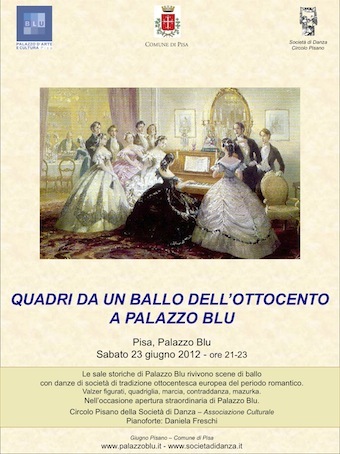 Grand Ball, Cortenuova (Bg), Palazzo Colleoni, July 2015. Grand Ball, Catania, Palazzo Biscari, July 2015. Grand Ball, Palermo, Palazzo Ajutamiscristo, August 2015. Grand Ball, Bologna, Piazza Minghetti, September 2015. 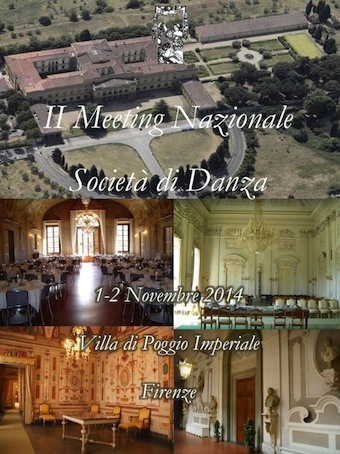 II Società di Danza National Meeting, Villa di Poggio Imperiale, 1-2 November 2014. 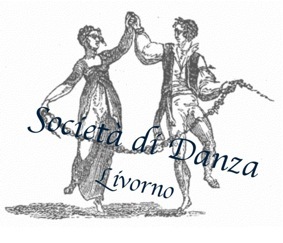 23th Easter School of Società di Danza, Tabiano (Pr), 3-6/4/2015. 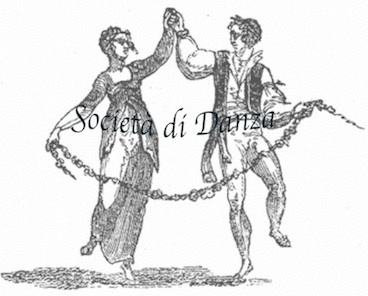 20th Summer School of Società di Danza, July-August 2015. 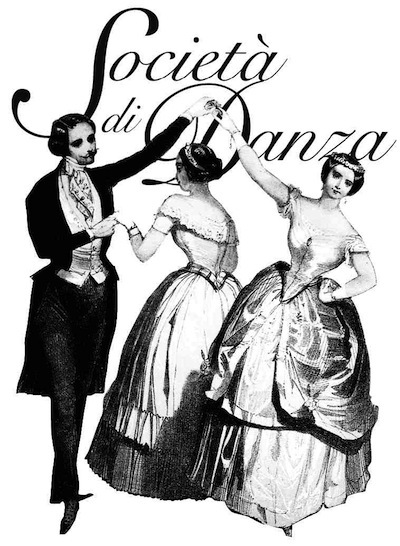 Spanish Waltz, A Reel for Jeannie, March Avant-garde, Quadrille Indra, Cumberland Reel, Mazurka Fata Morgana, Waltz-Cotillon, Quadrille Araldi, A Scottish Jig, Waltz Simpatia, March Giubileo, Mason's Apron, Waltz M.o Luigini, Galop - extra: Quadrille Lieder, on request ... or surprise! 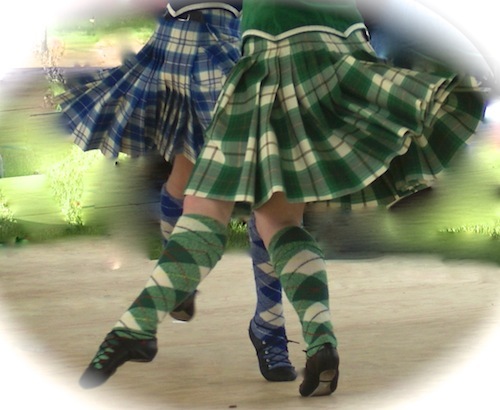 Come to try 19th century dance and Scottish country dance! dances for everyone! Come and dance with us! 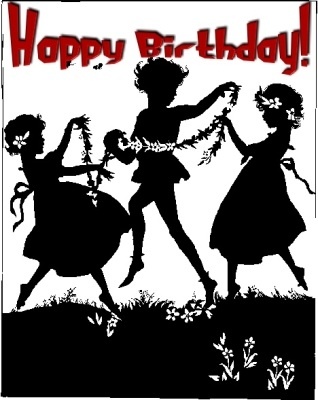 English country dance and more. Three cycles of classes of ten weeks. 1st course: 1.10 - 20.12.2013, 2nd course: 8.1 - 14.3.2014 and 3rd course: 19.3 - 31.5.2014. 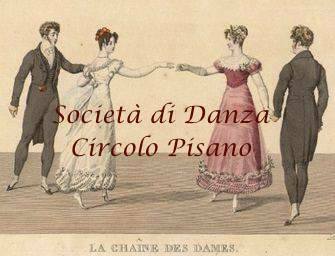 The Circolo Pisano realized events, reconstruction of 19th century balls, stages and seminars, grand balls and tea dance. Grand Ball Galleria Palladiana, Ferrara, October 2013. Grand Ball Palazzo dei Gonzaga, Mantova, December 2013. Grand Ball Palazzo Brancaccio, Roma January 2014. 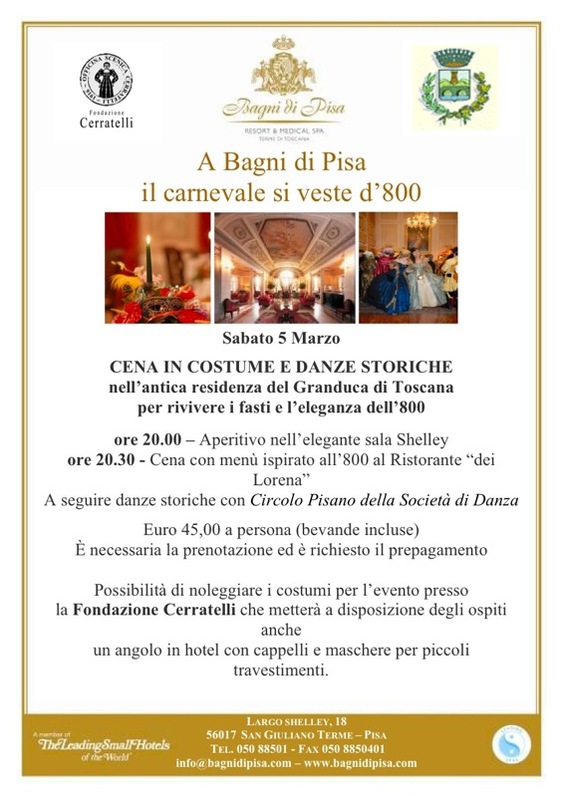 Grand Ball delle Cinque Giornate a Milano, Palazzo Cusani, Circolo Ufficiali, MArch 2014. Grand Ball Risorgimentale, Livorno, Terrazza Mascagni, May 2014. Grand Ball in Villa Viviani Firenze, June 2014. Gran Ballo Risorgimentale, Modena, Palazzo Ducale, Cortile d'Onore, Accademia Militare, June 2014. 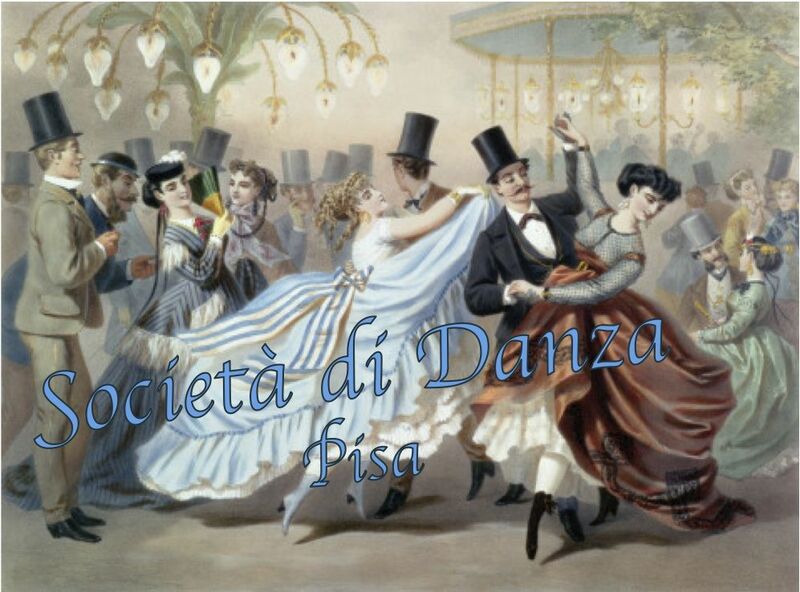 22-th Easter School of Società di Danza, Tabiano (Pr), 18-21/4/2014. 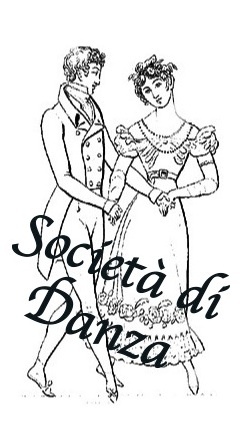 19-th Summer School of Società di Danza, July-August 2014. 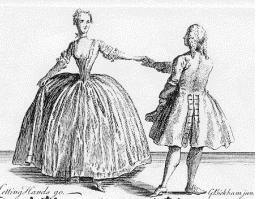 Presentation and practical lab to dance some simple renaissance dance of 16th-17th century. in National Day of A.D.S.I. 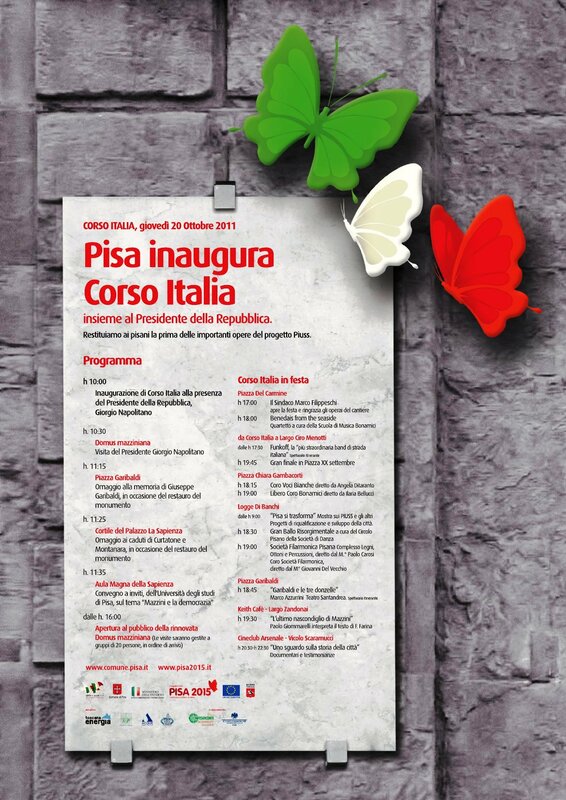 Suggested theme: "Idioms and proverbs"
from October 2012 to June 2013 at the Scuola Proscaenium, V. Fiorentina 216/a, teacher S. Balsamo for three levels (beginners, intermediate and advanced) and M. L. Fava (Leopolda, for beginners). Three cycles of classes of ten weeks. 1st course: 1.10 - 16.12.2012, 2nd course: 9.1 - 19.3.2013 and 3rd course: 20.3 - 31.5.2013. 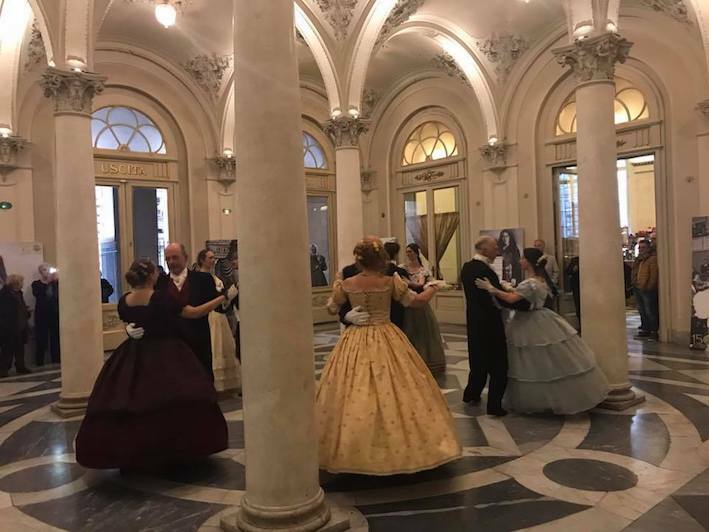 Grand Ball at Palazzo Reale di Napoli. 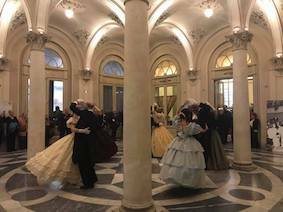 Grand Ball at Palazzo Brancaccio, Roma. 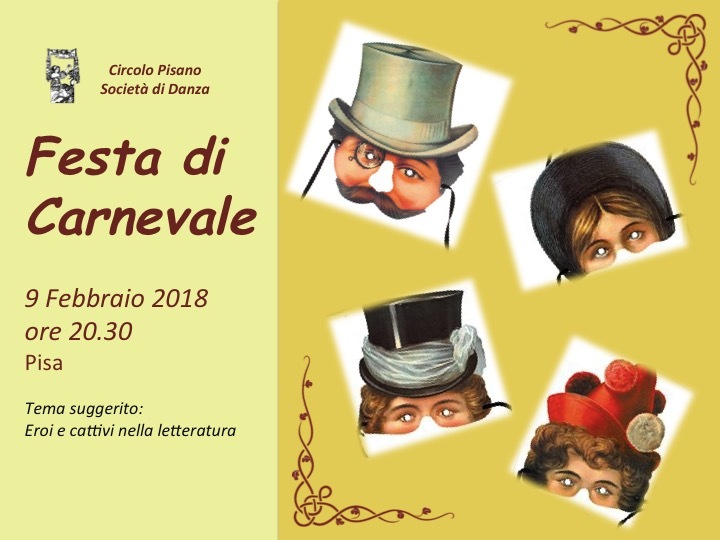 Gran Ballo delle Cinque Giornate, Milano, Palazzo Cusani, Circolo Ufficiali. 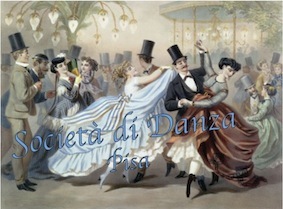 19th century Grand Ball, Circolo Ufficiali, Palermo. 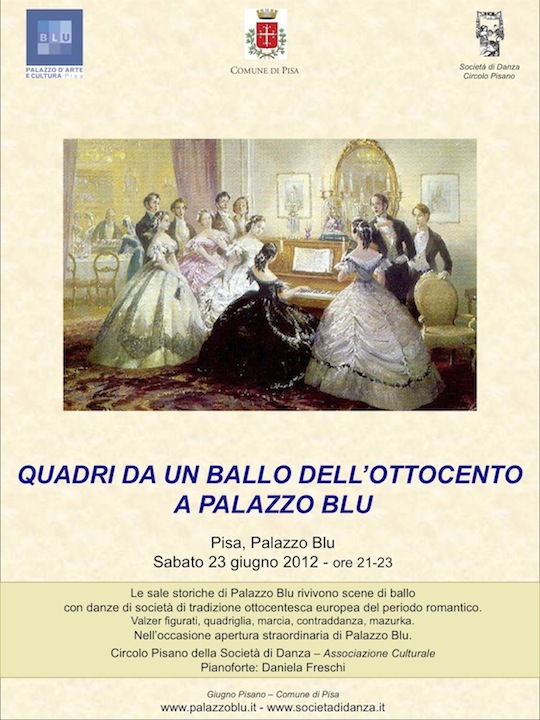 19th century Grand Ball, Palazzo Ajutamicristo, Palermo. Grand Ball Risorgimentale, Livorno, Terrazza Mascagni. 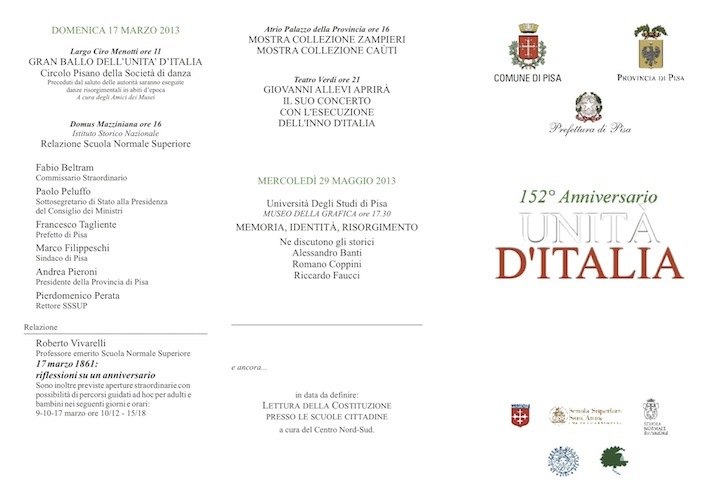 Grand Ball Risorgimentale, Modena, Palazzo Ducale, Cortile d'Onore, Accademia Militare. 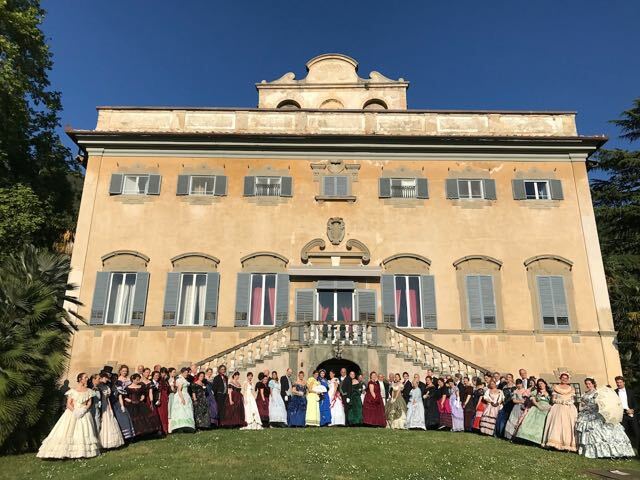 Grand Ball at Villa Tuscolana Frascati, Roma. 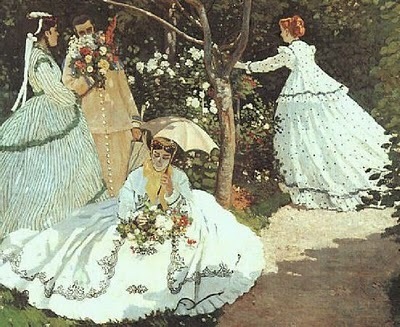 Roses Grand Ball, Lucca, Villa Bottini. Grand BallRisorgimentale, Carpi (Mo), Cortile d'Onore, Palazzo dei Pio. 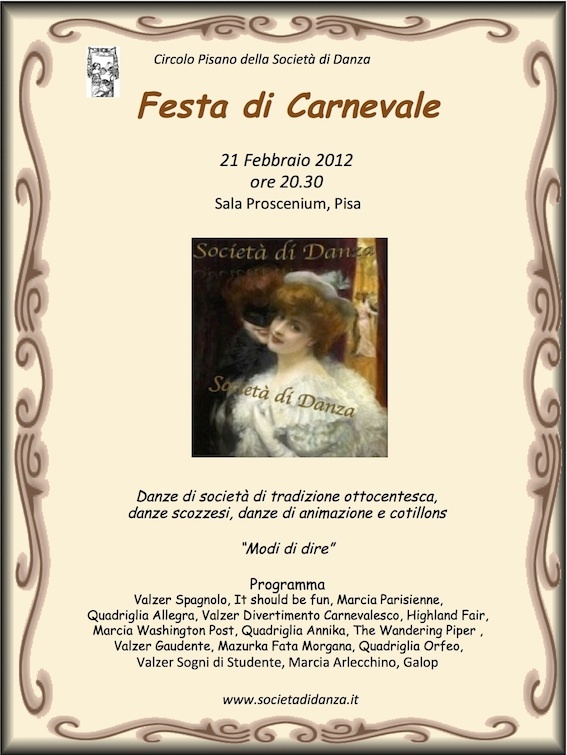 21-th Eater School of Società di Danza, Tabiano (Pr), 29/3-1/4/2013. 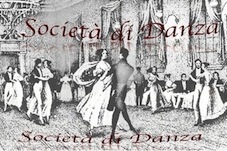 18-th Summer School of Società di Danza, 4-7/7/2013. 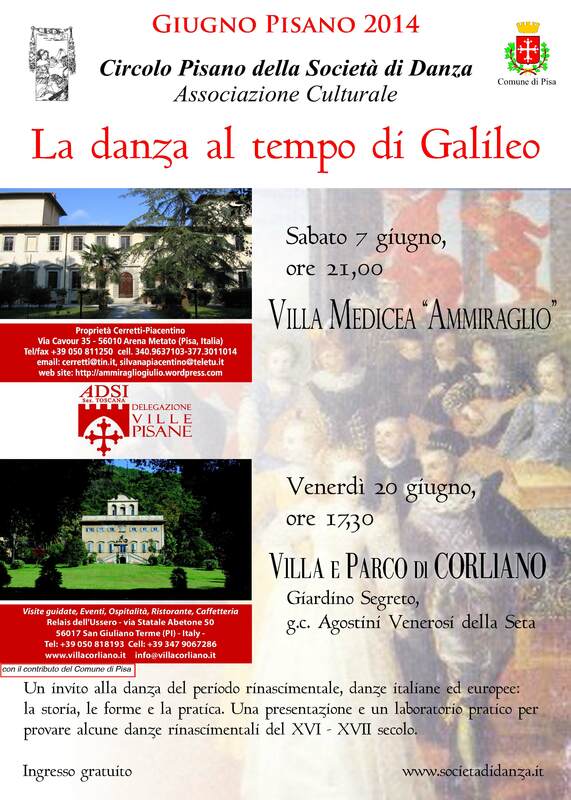 to the reconstruction of historical balls in the Villas of Lungomonte Pisano. 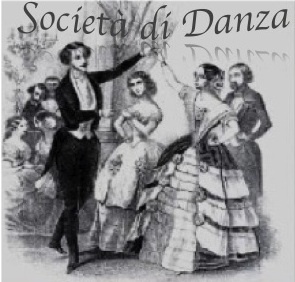 In the celebration of the 152th anniversary of unification of Itlau the 'Circolo Pisano della Società di Danza' presents the 'Gran Ballo dell'Unità d'Italia', a reconstruction od a grand ball risorgimentale, like the patriots organized in the years from 1848 to 1860 to celebrate the victories of the Risorgimento. A tribute to the history and the values of the Italian unification, through a reconstruction af a grand ball of the Risorgimento. 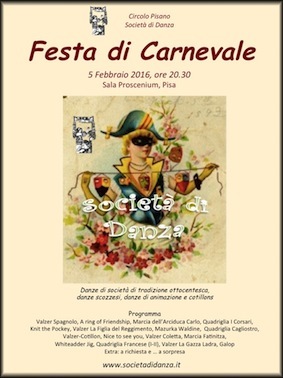 with traditional social dance by Società di Danza and dialect "incursions" by Crocchio Goliardi Spensierati. elegance of 19th-century salons and frank irony of unpredictable Pisa language. 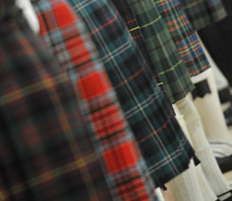 it is possible to visit the exhibitions. Participation by invitation, limited seats. 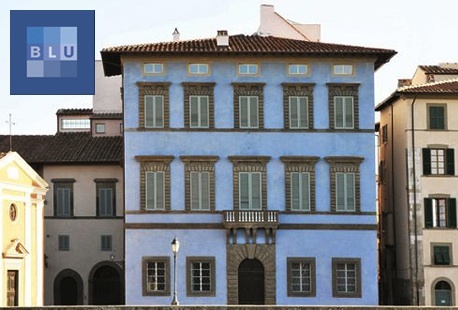 Contact Museo della Grafica within 1/3. 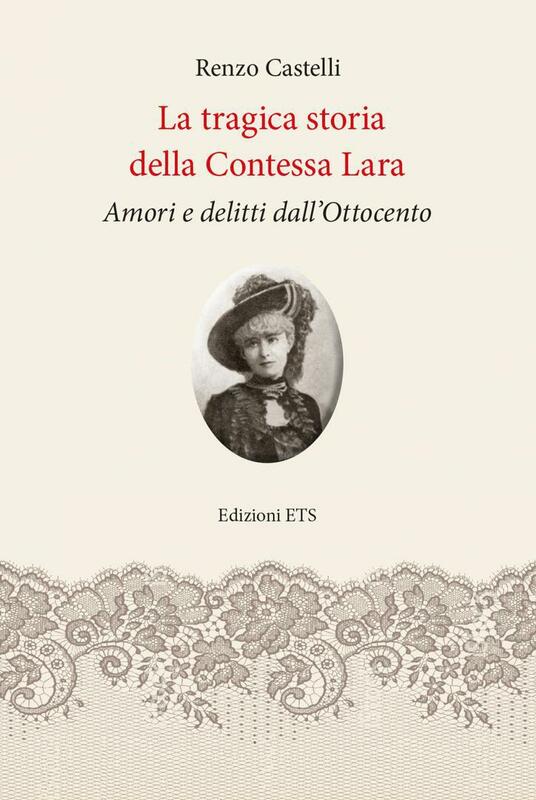 in the evening '200 anni Verdi', presentation of the book 'Teresa Stoltz' by F. Donatini. Music by Artificium. 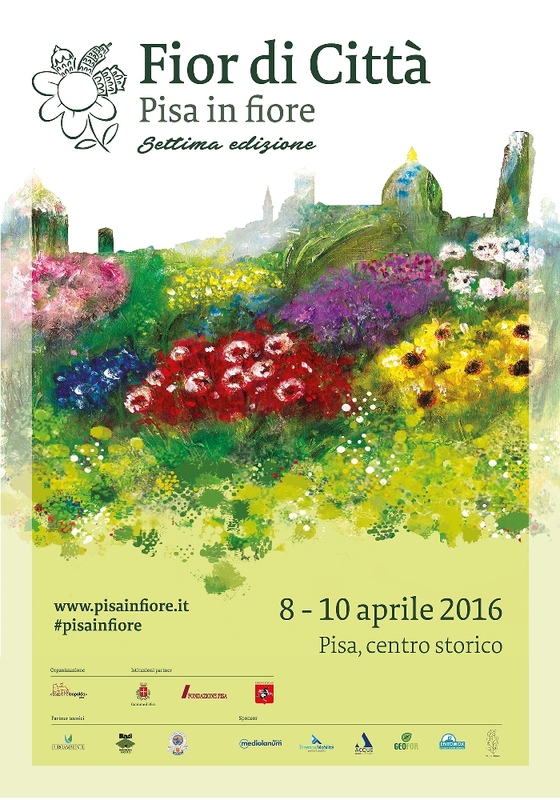 in "Poltrone a sdraio narranti... 2013"
organized by Comune di Pisa and Felici Editore - "Marenia 2013"
for three levels (beginners, intermediate and advanced) and M. L. Fava (Leopolda, for beginners). Three cycles of classes of ten weeks. 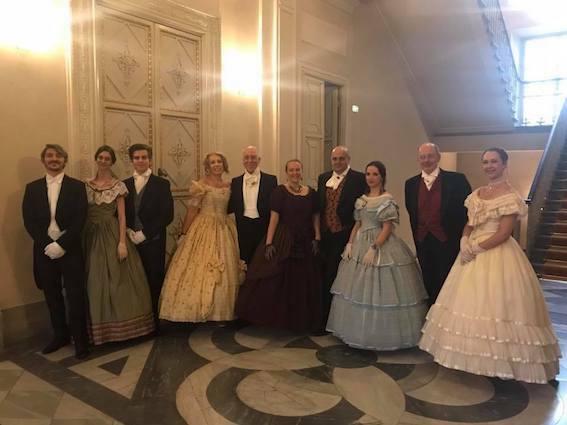 Grand Ball at the Villa Reale of Monza, Reggia di Monza. New Year Grand Ball 2012 in Bologna, Salone del Podestà. 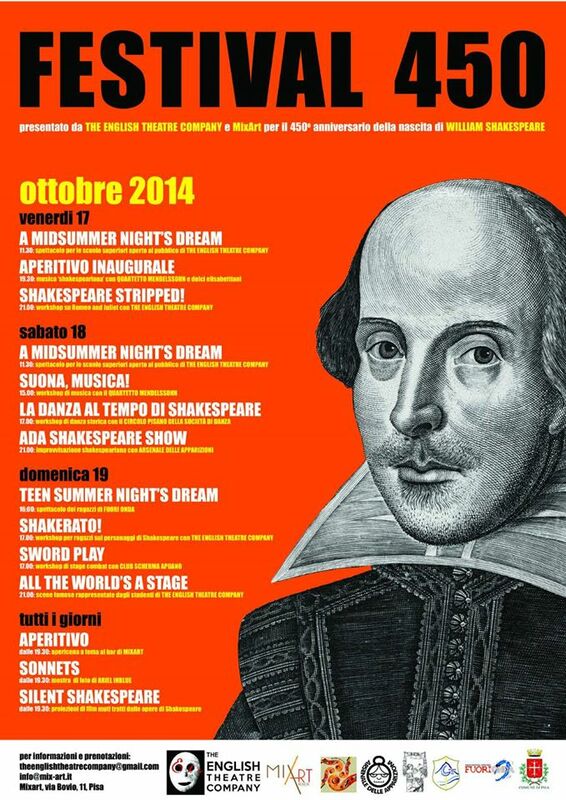 Grand Ball of the 'Cinque Giornate' in Milano, Palazzo Cusani, Circolo Ufficiali. Grand Ball in San Pietroburgo, Russia, University Auditorium. Scottish Ball in San Pietroburgo, Russia, Youth Palace, Blue Hall. 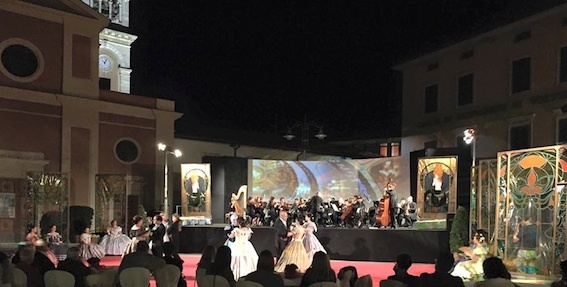 National 19th Century Grand Ball in Ferrara, Piazza del Municipio. 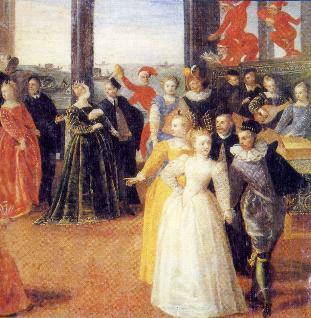 Grand Ball in Palazzo Farnese in Roma, Palazzo Farnese of Caprarola. 19th Century Grand Ball Court of Valencay Castle, France. 19th Century Grand Ball Amboise Castle, France. organized by Comune di Pisa and Felici Edition - "Marenia 2012"
in XIX century dress (romantic period). 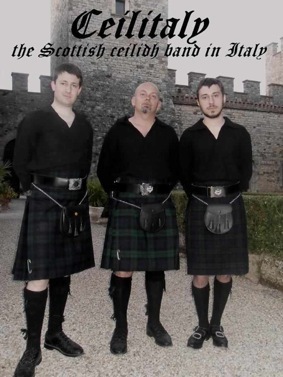 Relais dell'Ussero, Residenza d'Epoca, "All'Ussero di Corliano"
tea dances, Scottish balls and parties, seminars of Scottish dance and of 19th century dance, dance demonstrations and animation. for three levels (beginners, intermediate and advanced). Some classes and seminars were held at the Leopolda. 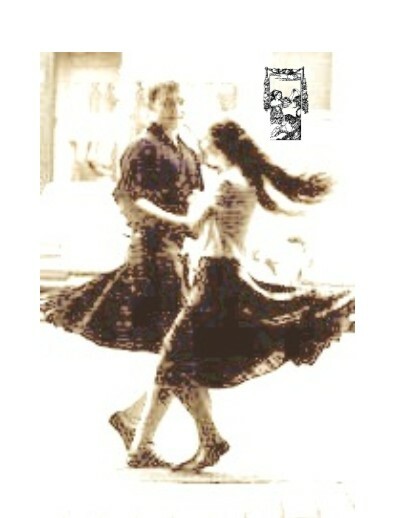 Three cycles of classes of ten weeks with social dance of 19th century tradition and Scottish country dance. 1st course: 1.10-15.12.2010, 2nd course: 7.1-14.3.2011, 3rd courses: 15.3-31.5.2011. New Year Grand Ball in Bologna, Salone del Podestà. 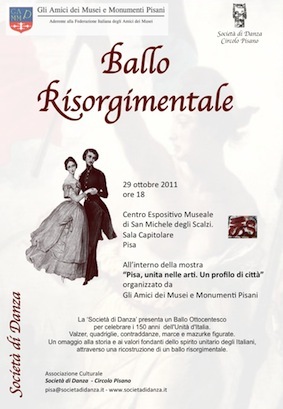 Grand Ball Risorgimentale in Milano, Museo di Palazzo Reale. 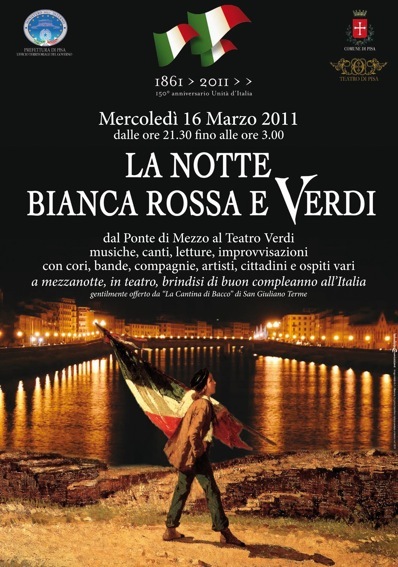 Grand Ballo Risorgimentale in Livorno, Naval Academy. 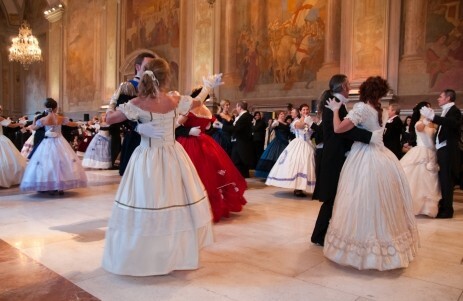 Grand Ball Risorgimentale in Budapest, National Hungarian Museum. Grand Ball Risorgimentale in Praga, Hlahol. 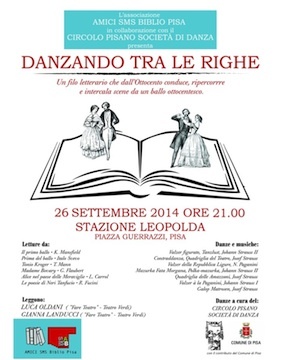 Grand Ball Risorgimentale in Torino, Caserma Cernaia. The dancers of Società di Danza, in nineteenth-century ball gown, dancing according to the style of the masters of time quadrille, contredaces, waltzes, mazurkas, marches, and galop. 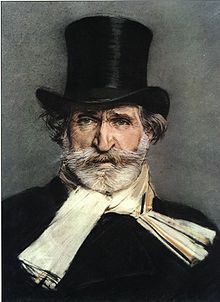 The dances are reconstructed based on the study of the manuals of the nineteenth century European dance, and performed on music by Verdi and Strauss. The Grand Ball of the Unification of Italy celebrates the anniversary of 150 years of the Unification of Italy, with a tribute to the history and founding valuesof the unifying spirit of the Italians. The ball reconstructs the atmosphere of nineteenth-century dance, as they were organized in Italy by the patriots and citizens in the celebrations of the successes and achievements of the Risorgimento fight. 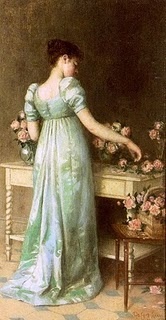 Waltz Rose di Petrin, Mazurka the Marvellous Flower, Bouquet Galop. 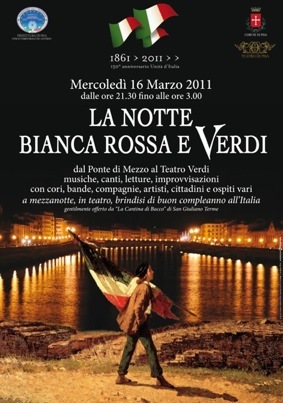 as took place in many Italian cities in 1861.
will be accompanied by music drawn from the most famous works of G. Verdi. their technique and their history. The Circolo Pisano della Società di Danza from 1997 is an affiliated group of the R.S.C.D.S.